Chefs and restaurateurs all over the nation are showing preference for locally grown products, seeking to lessen their eatery’s carbon footprint, support local producers, and use seasonally available ingredients for maximum flavor and quality. And in Florida, going local is a no-brainer. 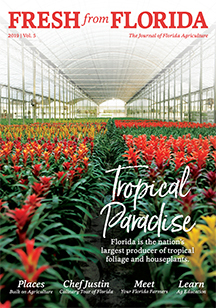 Some of the nation’s most delicious fruits, vegetables and seafood come from the state, and Florida’s warm, tropical climate creates long, bountiful harvest seasons. Eric Lackey, executive chef of Ulele in Tampa, creates dishes that feature foods and spirits inspired by Florida’s history. In the Tampa Heights neighborhood of Tampa, a new restaurant concept incorporates another layer to the farm-to-table trend: history. The restaurant, like the freshwater spring on the property, is named Ulele, after a Native American princess who saved the life of a Spanish Conquistador deckhand in the Tampa area during the 16th century. The building where the restaurant is housed was formerly a steam-powered pump house that extracted water from the spring to serve the city of Tampa in the early 1900s. But the star of the show is the Florida produce, meat and seafood, says Keith Sedita, Vice President of new business development for the Columbia Restaurant Group, which created Ulele. And like the original inhabitants of the area, Sedita hopes Ulele diners will discover and savor the incredible variety, quality and flavor that Florida products have to offer. Florida seafood is available year-round, and fruits and vegetables grown in Florida are harvested from October to June, enabling diners to enjoy delicious produce even in winter months. Long before the local food movement began, the famous 101-year-old Joe’s Stone Crab Restaurant on Miami’s South Beach was established as a legendary Florida seafood restaurant that centered around a state staple — the stone crab. Joe’s Stone Crab owns its own fisheries dedicated to responsibly catching, declawing and releasing stone crab, which are able to regenerate their claws. Diners enjoy the meaty claws, not the body, so there’s no reason to harvest the entire crab, Sawitz says. The Joe’s Stone Crab menu also includes Cedar Key clams and Apalachicola oysters, as well as the underrated Florida lobster, also known as spiny lobster. 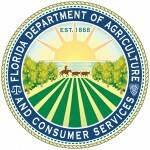 Joe’s Stone Crab received the “Fresh From Florida” Century of Excellence Award from the Florida Department of Agriculture and Consumer Services in 2013.